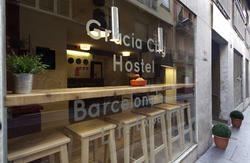 The Ideal Youth Hostel opened in the year 2000 in a typical Barcelonan city-centre-style building. 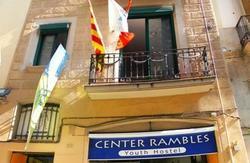 It's an experienced hostel located near the famous La Rambla and next to the Opera House. The traditional historical appearance of the facade has been maintained, while the interior is modern with a minimal industrial look, including silver concrete walls and coloured neon lights. We try to cater to both single backpackers as well as groups, offering all that you need to help you enjoy your stay in the city. Accommodation is offered in single rooms and private or shared rooms for two, four, six, eight or ten people. Most of the rooms have their own balcony, individual WC and free hot showers. Furthermore, the hostel provides individual lockers in each room, free of charge. We also offer a terrace, linen, vending machines, self-service laundrette, microwave and fridge and a lounge in which you can relax. Upon request, half- or full-board meals and lunch boxes are available. We also offer private meeting rooms free-of-charge for groups and a separate breakfast area. Other good reasons to stay here arre our Internet, linen service, 24hr check-in, tourist information and a common living room. They're what makes customers repeatedly book with us year after year. 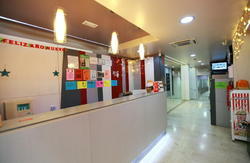 Come to Ideal and we'll do our best to make you feel like home. 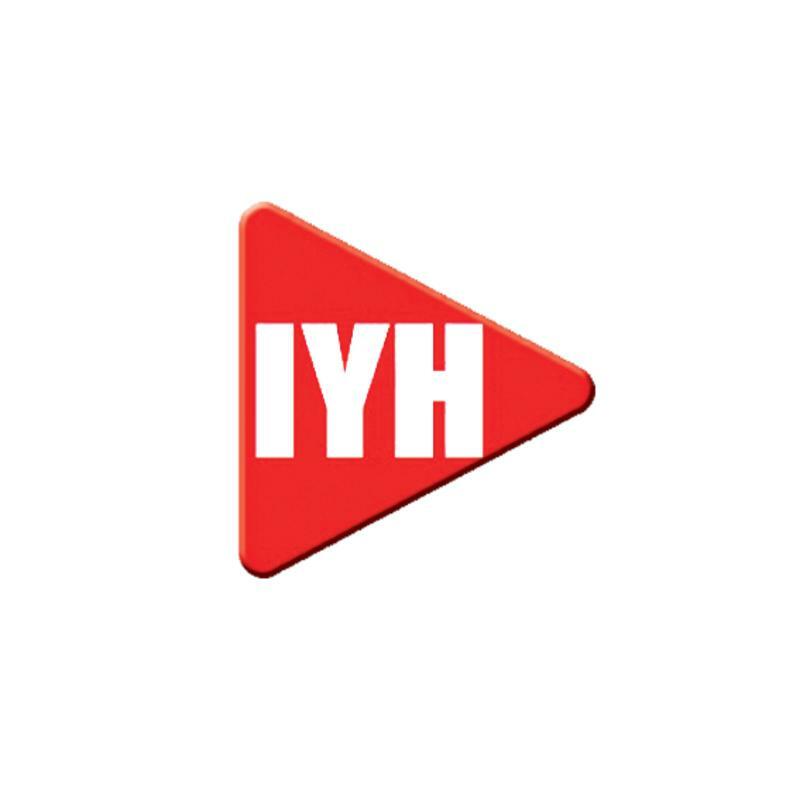 Ideal Youth Hostel - the traveller's home in the centre! Hasta pronto en Barcelona! Please read our Things to Note below to ensure you have a pleasant stay at our hostel and if you still have any doubts, do not hesitate to contact reception. Bus: Take the Aerobus towards Plaza Catalunya(center),change here and take the metro (Line 3/green line, direction Zona Universitria and get off only one stop away at Liceu;. On the Ramblas Boulevard, look for Mc Donalds and Kentucky Fried Chicken, we are on the street opposite on the n10. (crossing Ramblas Boulevard). Take the shuttle bus service to Barcelona North Bus Station, from there walk to the Metro Stop Arc de Triompf and take the red line ( direction Hospital de Bellvitge), at Catalunya stop you have to change into the green line towards Zona Universitria and get off only one stop away at Liceu. On the Ramblas Boulevard, look for Mc Donalds and Kentucky Fried Chicken, we are on the street opposite on the n10. (crossing Ramblas Boulevard). Take the C1 local train towards Plaza Catalunya(center),which runs every 30 minutes . CHANGE at Plaza Catalunya and get on the metro (Line 3/green line, direction Zona Universitria)and get off only one stop away at Liceu. Metro: take the metro (Line 3/green line, direction Canyelles) and gett off at 'Liceu' stop. On the Ramblas Boulevard, look for Mc Donalds and Kentucky Fried Chicken, we are on the street opposite on the n10. (crossing Ramblas Boulevard).